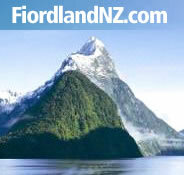 The weather in Fiordland is never that miserable that there’s no point going to Fiordland. Fiordland is an amazing place whatever the weather, in fact winter days are often clearer and finer, and the least rain falls during this period. However, Te Anau is busier during the summer months (especially around Christmas) when the population of Te Anau can swell to around 10,000. It is best to book ahead if you plan to visit Te Anau or Fiordland during this time. You can fly to Te Anau with Air New Zealand Link, Ansett, Air Fiordland and Waterwings Airways. Aircraft range in size from Boeing 737’s, which service Auckland, Christchurch and Dunedin and the new ATR 72’s which service Invercargill and Te Anau. Alternatively, consider the option of flying to Invercargill airport on a domestic airline and then driving north to Te Anau. Invercargill airport is serviced more regularly than local airports in Fiordland. Fiordland also has a number of businesses that offer scenic flights over Fiordland and the Te Anau area and offer transport for hunters and trampers. Access to Te Anau - the main centre of Fiordland - can be reached by an easy drive on good roads from any of the major cities of the South Island. Road conditions are excellent, with all major routes being sealed and well signed. Petrol stations are easy to find, usually on the outskirts of small towns and towards the centre of most towns and cities. When coming to Fiordland, look for the Visitor Information Network ’i’s when needing information about the area you are traveling through. Failing that most dairy’s (shops selling food and snacks), convenience stores and petrol stations are happy to help a traveler find their way! There are daily bus services from all of the major centres of the South Island connecting with Te Anau. Distances and traveling times from each of the main cities are given in the table below. Take your own time and drive here by car or, relax on a bus tour.